Is Massage Therapy a Good Treatment for Anxiety and Depression? Editors note: Some instances of anxiety and depression may be debilitating or life-threatening. This article is not intended to encourage massage therapy over professional mental health help and/or the treatment of a licensed mental health professional. Many people may feel anxiety at some point in their lives. 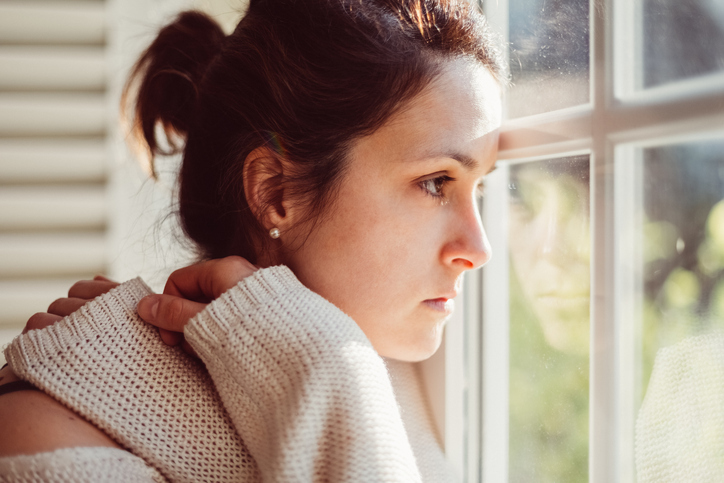 Persistent anxiety may be a symptom of a mental health issue, such as depression or generalized anxiety, or the result of other external factors, such as major life changes, traumatic experiences, or certain medications. Stress is often a cause rather than an effect, and anxiety can be one of the many effects of living in a stressful environment. Many people may experience momentary anxiety from stressors such as a car swerving into their lane on the highway, but people who experience chronic anxiety may describe feeling worried about relationships, family, school, work, health, and money long after a triggering moment has passed. Additionally, it’s not uncommon for people who experience depression to report symptoms of anxiety, including irritability, nervousness, poor concentration, and insomnia. Anxiety-related mental health issues can compromise the immune system, disrupt body chemistry, and make you feel tired and irritable. You may have a hard time sleeping, feel restless when awake, and have trouble concentrating. People with severe anxiety may even experience muscle tension, poor digestion, and “cold sweats.” If you feel this way, you’re not alone. Anxiety affects 40 million adults in the United States, which is about 18% of the population. How Can Massage Therapy Help People with Anxiety? Even after removing stressors from your environment, you may experience the lingering effects of anxiety and stress created by life situations that can’t be immediately changed. You can reduce anxiety by exercising, getting plenty of rest, and eating well. For a quick and healthy reduction in anxiety, consider finding a massage therapist who specializes in body-mind relaxation techniques. A research team at Emory University studied the effects of Swedish massage therapy (SMT) on 47 patients with generalized anxiety. Study participants received two SMT sessions per week for six weeks. Using the Hamilton Anxiety Rating Scale, a common framework for measuring anxiety severity, they reported a reduction in symptoms for as many as six weeks after treatment. The researchers recommended massage therapy as a complementary and alternative therapy for generalized anxiety patients. Depression and anxiety are two of the most common mental health issues. On average, 79% of cancer patients experience anxiety symptoms and 10-20% experience depression. A group of researchers—which included a cardiologist, psychiatrist, and two nursing experts—studied the effects of massage therapy on a group of cancer patients. These researchers found massage therapists provided effective and affordable care for a variety of cancer treatments. Patients who received massage therapy experienced improvements in pain, anxiety, and depression symptoms. These effects were especially pronounced for isolated patients who rarely received physical contact with others. How Does Massage Therapy Help People with Depression? A team at the University of Miami’s Touch Research Institute studied women with prenatal depression and found massage therapy and yoga were healthy for both them and their babies. Infants whose mothers engaged in massage and yoga treatments had higher birth weights and longer gestational ages (time spent in the womb). Their mothers reported decreased anxiety, depression, anger, and leg pain as well as healthier relationships. The researchers pointed out that massage therapy provides a natural alternative to antidepressants, which may cause side effects in some patients. In a 2010 study published in the Journal of Clinical Psychiatry, a group of researchers conducted a meta-analysis of 17 research papers examining 786 study participants to learn more about the positive mental health benefits of massage therapy. They found massage therapy was significantly related to improvements in depression symptoms. Why Does Massage Therapy Relieve Anxiety and Depression Symptoms? Many people with anxiety and depression can reduce the severity of their symptoms by engaging in activities that help increase focus on the present moment. This is a practice called mindfulness, which may be one of the reasons massage therapy and bodywork can effectively benefit a person’s mental health. Studies on mindfulness practice have noted its positive application for a wide range of conditions, from fibromyalgia to anxiety and depression. Eckhart Tolle, an internationally recognized expert on mindfulness, recommends paying attention to all five senses, such as the feel of your breath, the smell of the air, the sounds around you, or the color of the walls. A massage therapist with experience using mindfulness techniques to treat anxiety and depression may be able to help you with this process. Because sense perceptions happen in the moment, people with anxiety and depression can “reset” their mental and emotional habits by deeply feeling their immediate experiences. This practice leaves little room for the mind to wander to past regrets and future troubles. Hou, W., Chiang, P., Hsu, T., Chiu, S., & Yen, Y. (2010). Treatment effects of massage therapy in depressed people: a meta-analysis. Journal of clinical psychiatry, 71(7), 894-901. doi: 10.4088/JCP.09r05009blu. Rapaport, M., Schettler, P., Larson, E., Edwards, S., Dunlop, B., Rakofsky, J., & Kinkead, B. (2016). Acute Swedish massage monotherapy successfully remediates symptoms of generalized anxiety disorder: a proof-of-concept, randomized controlled study. Journal of clinical psychiatry, 77(7). Tolle, E. (1997). The Power of Now. Vancouver: Namaste.